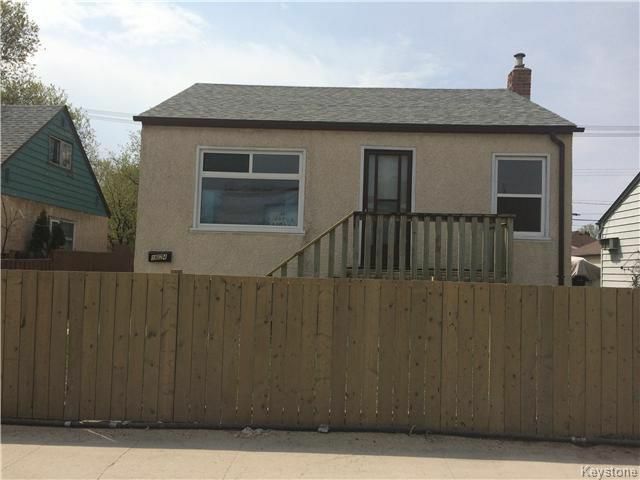 Cozy remodelled 2 bedroom bungalow with 11/2 baths! All new windows, new kitchen counter, back splash and flooring, new tub surround, shower head, faucets, sink and toilet. Laminate flooring, hardwood and carpets in bedrooms. New electrical panel and wiring. Insulated and dry walled basement with laundry room with new front load washer/dryer, sinks and toilet. Huge fenced yard with a good sized deck and single garage! Shingles and furnace updated. Across from Weston park and close to all amenities and transportation. Great Location! Great Buy!